Our website address is https://www.andy4msf. 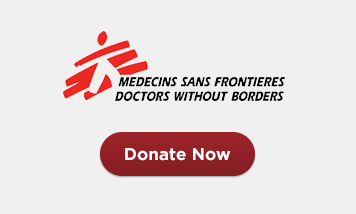 I am raising much-needed funding for Doctors Without Borders (MSF / Medicins sans Frontieres) Design and my name is Andy Dennis. We have a contact form plugin, this subsection will capture the entrant’s Name, Email Address and a short message – when someone submits a contact form, I delete it after reading it if I do not chase it up. I do not use the information submitted to them for marketing purposes. By default, WordPress does not collect any analytics data. However, many web hosting accounts collect some anonymous analytics data. I have installed Hotjar to monitor usage and run the site through Google Analytics to try and improve SEO. In this section, I will name and list all third-party providers with whom I share site data, including partners, cloud-based services, payment processors, and third party service providers, and note what data you share with them and why. Link to their own privacy policies if possible. My web guy can be reached at [email protected] to see about what Data I have of you. All data is retained on a server that is encrypted and password protected. It is only accessible by Andrew Backhouse & Andy Dennis – we do not want to sell it on to third parties. In the unlikely event of a Data Breach, everyone who we have information about (through submitting a comment or filling in the contact form) will be emailed and advised on further action. If you have any queries as to what you have submitted to Andy4MSF then please email Andrew Backhouse at [email protected] Your data can be erased or sent to you for you to look at.